They occur when the natural crystalline lens of the eye becomes cloudy. Fortunately, cataract surgery is effective in correcting this problem. This type of surgery changes lives every day. Post-op day at Cortland Eye Center is very exciting, not only for our patients, but also for our staff. We never tire of hearing about the improved vision of our patients following cataract surgery. particularly among our senior citizens. 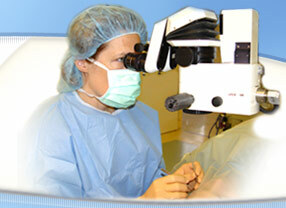 Cataract surgery is very successful in restoring vision. It is one of the safest and most effective surgeries performed in the United States, with over 1.5 million cataract surgeries done each year. Technological advancements in cataract surgery have eliminated the need for extended hospitalization, restrictions on activities, and prolonged visual recovery. Instead you will return to your home and normal activities almost immediately. Some cataracts develop rapidly, resulting in significant visual impairment within several months' time. Most cataracts progress more slowly, with visual symptoms gradually worsening over a period of years. If you notice one or more of these symptoms, you should consult a cataract specialist. Print you once read easily now seems difficult to see. Glare or haloes appear around bright lights, and night driving is becoming more difficult. You notice a blurring or dimming of your vision. Your glasses always seem dirty or unclear. Colors seem muted or washed out. Is surgery painful, and will I have to be put to sleep? Surgery is not painful. A local anesthetic is used to numb the eye so that you cannot feel the operation. There is seldom any discomfort following the surgery. While general anesthetic (being put to sleep) is possible for cataract surgery, the operation is so brief and painless that it is normally not necessary. You may immediately return to all normal leisure and work activity including bending, lifting, showering and hair washing. Cataracts cannot be removed by a laser. Cataracts also do not go away on their own, they must be removed surgically. When should my cataract be removed? You should have cataract surgery when decreased vision is interfering with your daily living activities, your lifestyle, or your job. 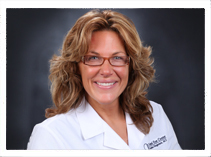 The success rate for cataract surgery is excellent. In the otherwise normal eye, the success rate is over 98%. Cataracts do not grow back. It is not uncommon, however, several months or years after cataract surgery to notice visual blurring similar to what you experienced with the original cataract. This is most likely due to a clouding of the posterior capsule which is behind the intraocular lens implant. This cloudy membrane can easily and painlessly be removed by treatment with the YAG laser, which we have in our office specifically for this purpose.